Ever find yourself distracted from mothering because you’re so preoccupied with how you’ve been done wrong, and plotting how you’ll exact your revenge? Yeah… maybe that’s not the best idea. 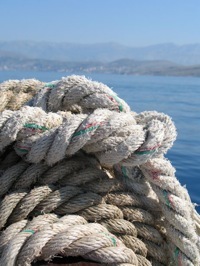 Check in with Jax Resto for more on rope, and living well. I’ve never subscribed to the “Don’t get mad, get even” philosophy. I believe “The best revenge is living well” and that karma will take care of the rest. I will be a better person for it, and anyway, being a writer requires a certain amount of pain, so the stupid people in the world just keep me prolific. By focusing on revenge, you not only give them more power, you close yourself off to all the positive things the universe has to offer. Personally, I just don’t like myself when I’m angry (flashbacks of me turning into the Incredible Hulk). Besides, remember, you only have to endure x amount of time with them, while they have to endure the rest of their lives with themselves. People sometimes mistake kindness for weakness. But, it’s important to choose your battles. They’re expecting a confrontation. Ready for it. Instead, give them some rope. Eventually, they’ll hang themselves… while you take the high road and just keep living well. Bio: Bronx-born Jax ran away to join the circus at 19, where she overcame her fear of heights to perform an aerial act. She took a hiatus from performing to start her own business, but when the stage started calling her back, she wondered what she could do that would be at least as ridiculous as running away to join the circus? Being drummer in a mom rocker band? She started band FBI (Female Band Invasion) and admits that some days, it feels like she’s back in the circus.